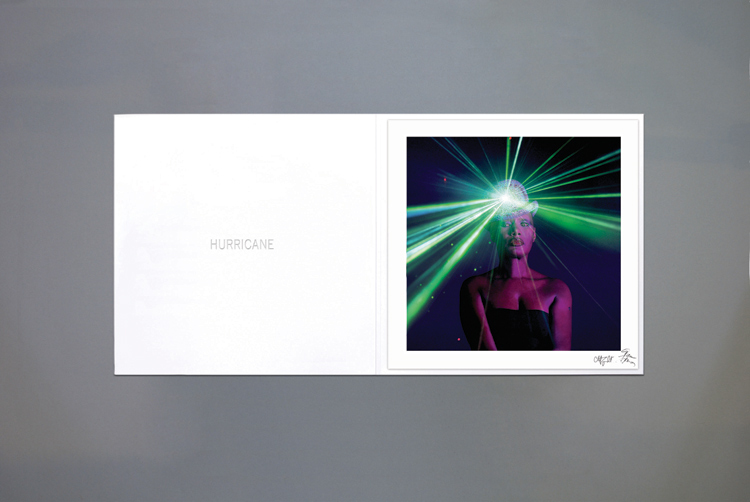 A unique collaboration between icon, Grace Jones, and groundbreaking light artist, Chris Levine, is to be shown to the public for the first time at The Vinyl Factory Gallery in Poland Street, London. These sensational portraits will go on show from 29th April, 2010. Chris Levine is a unique artist with a rare sensibility for the use of light. Renowned for his historic 3D and still images of HRH Queen Elizabeth II, he has now gone on to create a series of stunning 3D portraits of legend Grace Jones. Stillness at the Speed of Light will showcase the extraordinary alchemy between this iconic figure and the progressive artist. A highlight of the exhibition will be a statement; a 3D image of Grace with her eyes shut, one of several ethereal, sensory portraits some of which are lit by laser. Grace’s great gift in identifying zeitgeist artists such as Andy Warhol, Keith Haring, Jean Paul Goude and Eiko Ishioka, continues with this new and exciting collaboration with Chris Levine, whilst demonstrating an evolution in portraiture. This exceptional show will also be used to launch Grace’s new video “Love you to life”, which Chris Levine directed. For more info, or to purchase a print visit our shop.